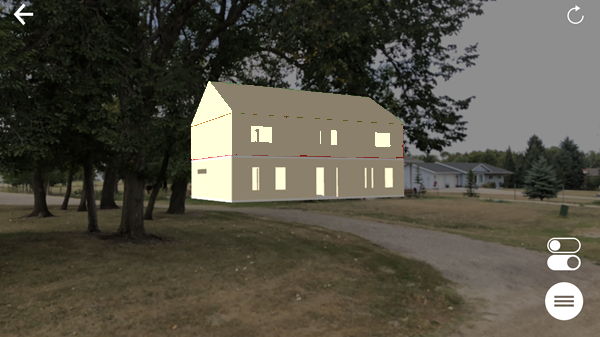 Augmented Reality, Spatial Data, and 3D Models: Making your own AR models using FME’s “fmear” format. 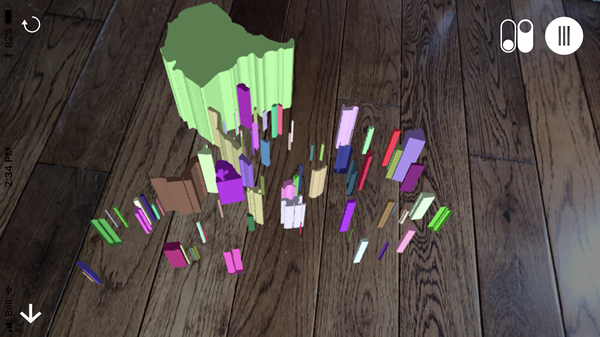 This blog has already looked at augmented reality, the fmear format, and the FME AR app (a brief introduction, and a Coders on Couches episode), so why another article? 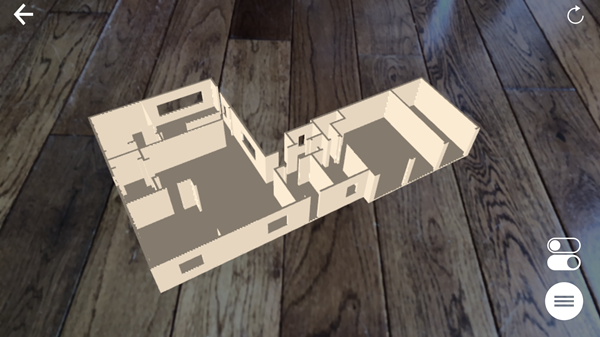 Well, I wanted to go into how to make models for FME AR, and since the app is now available for Android as well as iOS, this seemed a great time to do that. 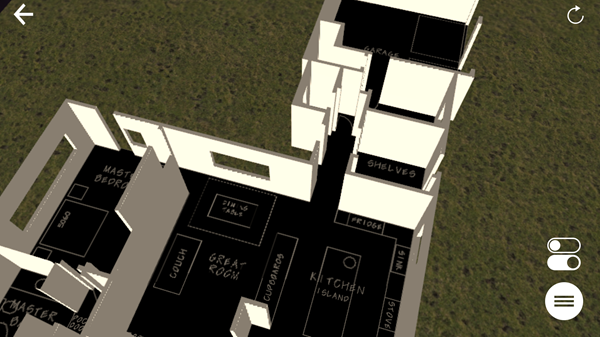 I won’t dive too deeply into the making of 3D models, because that’s not specific to FME AR. But what I will do is show a few different data types translated to fmear format, and give you some suggestions on how you might use the app in different ways. 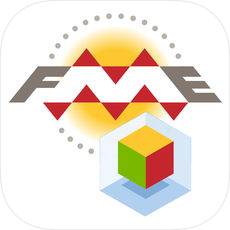 FME AR (FME Augmented Reality) is an app available for your mobile devices. Augmented Reality is essentially adding information to your real-world view (as opposed to Virtual Reality which is creating a totally artificial environment). FME’s AR app is powered by a data format called fmear. Don’t worry, we haven’t just gone and made a new spatial format. Fmear is mostly OBJ format data wrapped up as a single compressed file, with some added information such as coordinate system and other metadata. So if you write data to OBJ and it looks OK, then it’s fine to write to fmear and view in the FME AR app. Or if you have an fmear dataset, you can treat it as a zip file, and extract the contents to get the data as OBJ. Again, I don’t want to get too much into this, because it’s general 3D FME functionality, not specific to FME AR. Anyway, I create a random color with the FeatureColorSetter, but then use fme_fill_color as the color to use in my AppearanceStyler transformer. The AppearanceStyler creates a “style” feature called an appearance. The AppearanceSetter uses a join to match features (a trait key) to appearances (an attribute key). I used the ParkId attribute as the basis for my join. It already exists as an attribute and the GeometryPropertySetter turns it into a trait as well so I can match it back up with the AppearanceSetter. If I didn’t have an attribute, I’d use a Counter transformer first, or rather I’d use an option in the GeometryPropertySetter that can create a count attribute for me. I don’t have Dropbox or OneDrive installed on my phone, else they would be available too. 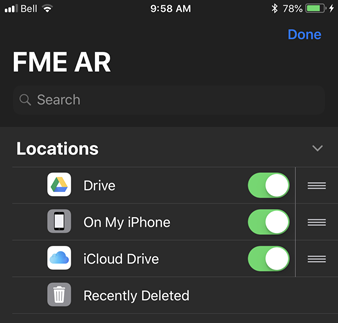 For this article I used iCloud; I just set FME to write to the iCloud folder on my computer, and the model automatically appears in the FME AR app. Once I have a model open in the app, I can move it around, resize it, and rotate it, using the usual touchscreen gestures; so I don’t really need to show that. Also, of course, the movement of the device is tracked so if you move around you’ll see different views of your model. That’s the augmented reality part! So if my fmear file has multiple layers (created using multiple feature types in my FME writer), I can turn them on and off within the FME AR app, potentially revealing data underneath. 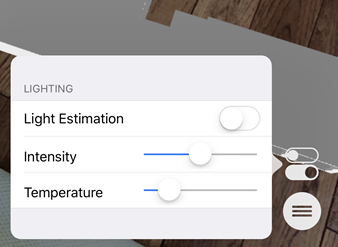 When Light Estimation is turned off, then you have manual controls for Temperature and Intensity of the lighting. Temperature is pretty much a cool (blue) to warm (red) scale, and intensity is the amount of lighting (dark to light). 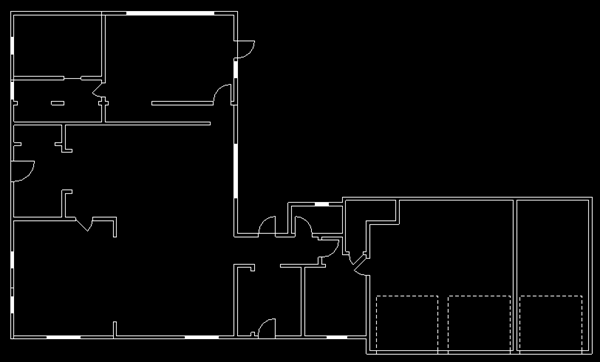 When Light Estimation is turned on, then (if I understand correctly) FME assesses the actual light coming into the room and adjusts the model lighting as appropriate. Whatever you project your data on to (countertop, table, floor) try to ensure it has some texture. 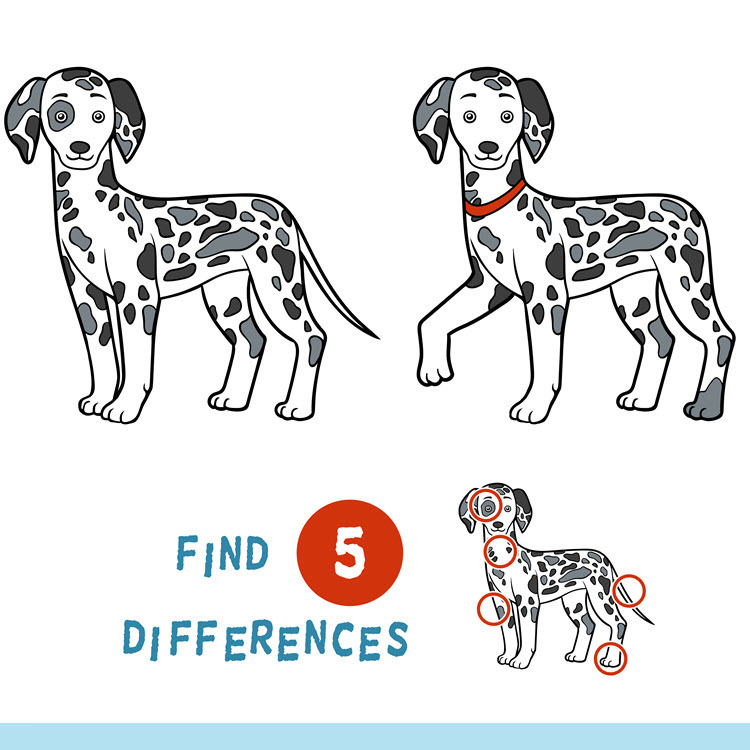 If you project onto an object that is too flat or plain-colored, then the app has trouble detecting where to place the model. It also helps to slightly tilt your device, and not point it directly perpendicular to the projection surface. 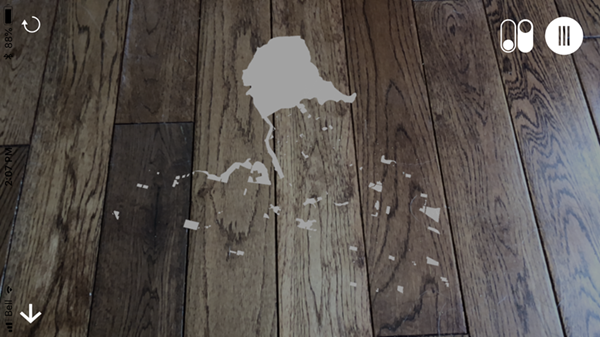 Sometimes too much or too little light affects the ability of the app to identify a surface. Turning off Light Estimation sometimes resolves that. The app tracks the movement of your device in order to place the model and calculate your movements. For this reason, you can’t use the app in a moving vehicle! For example, don’t expect to project it on to a tabletop on a moving train! It’s not too complex. The Extruder transformers are the ones that turn my wall outlines into 3D solids, with the Offsetter moving up the window features into the middle of the wall. 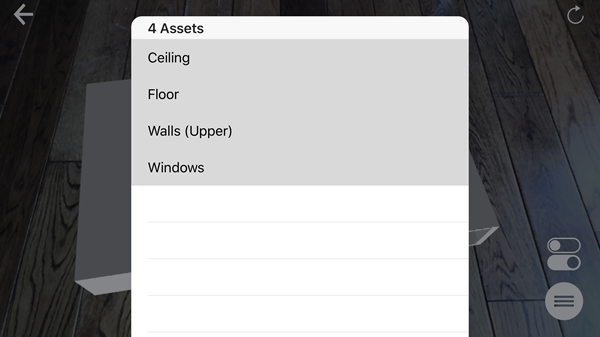 I just used a fixed number for wall/window heights, but you may have actual values you can use (a NeighborFinder can read the closest label to a feature). The rest of the workspace is about punching holes for windows. Each window is given an ID number and matched to its wall using the NeighborFinder. The CSGBuilder punches the holes using the WindowID attribute as a group by. One difficulty is that the CSGBuilder only works in pairs of features; the walls in my source data needed to be split into separate features, so that each only received one window. A second window in the same wall would just be dropped. 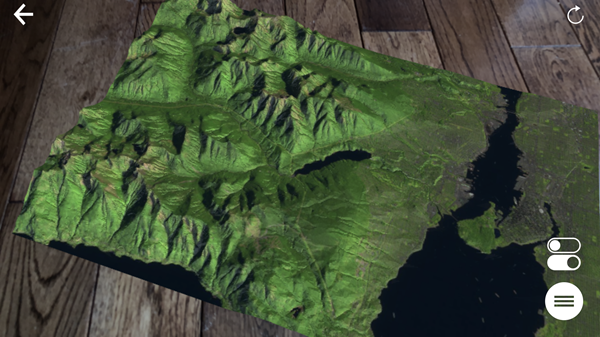 There are a few ways you and I might think to add a backdrop to the model, the first of which is to fit the model directly onto a map in real life. 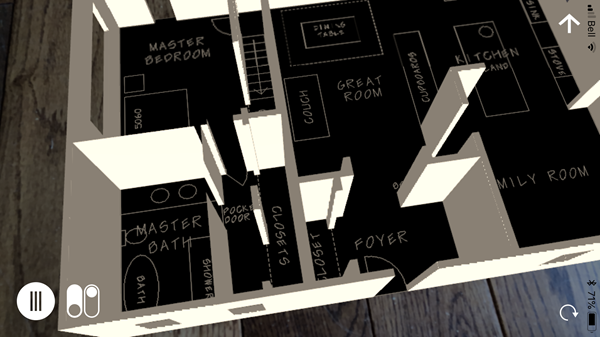 i.e., instead of using the wooden floor, can I project the data on to a paper map? The answer, I think, is yes, to the extent that you can move and resize the model in your display. I think that’s what this user is demonstrating. 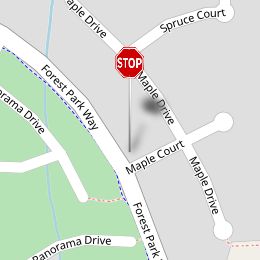 However, there’s no way to snap the model on to known points on a map (I guess that’s an idea for future functionality). In this test workspace (FME Hub), the Creator transformer creates a polygon, and the appearance is attached to it. You need to apply a FaceReplacer transformer to the polygon and then add a raster feature as the appearance. The only concern is which face is uppermost. Even if the AppearanceSetter is set to both sides, I believe OBJ only supports one side. Get the wrong side uppermost and you won’t see anything in FME AR. However, the Orienter transformer can be used to correct that, if it becomes an issue for you. Thanks to my colleague Dmitri for pointing that one out. I think the app is versatile enough that there are many other uses for it. 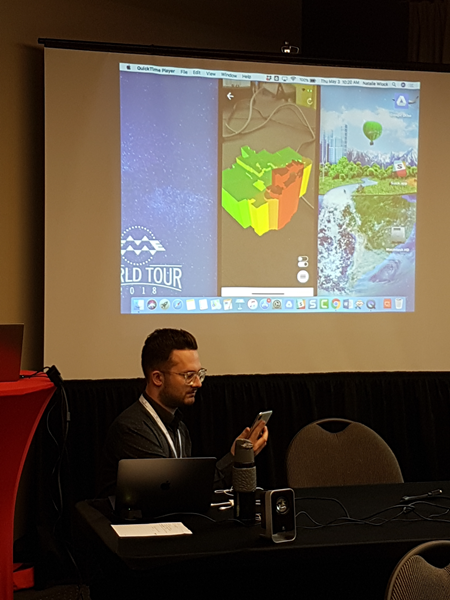 If you attended the recent FME 2018 World Tour, then you may also have noticed us presenting AR data to the entire room. It’s easy to push device output to a projector. So even with the most basic AR model, you can use the FME AR app to present to an audience, in a way that is very, very unique. 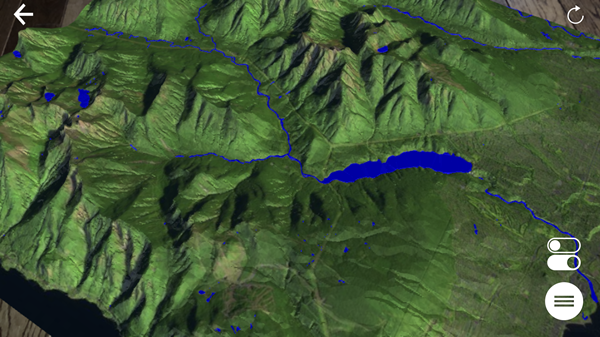 Got non-spatial data? Why not try converting it to a 3D bar graph. It should only need a square polygon per bar, extruded to the value of an attribute. Or maybe take a game (like Dmitri’s “Shallow Blue” game) and create its board in AR. What about other data types? Point clouds don’t sound like the most natural fit, and it’s true coercing each point to 3D spheres is way too time-consuming for little result. 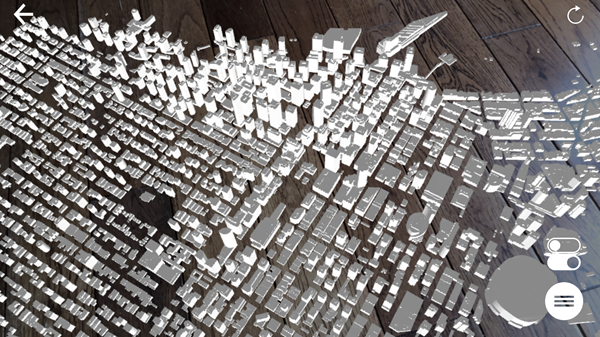 But what I did find is that the PointCloudSurfaceBuilder transformer used in a workspace (FME Hub) converts point clouds to a surface that you can easily write as an AR model. I do recommend using a PointCloudThinner transformer when experimenting with this; otherwise, processing time could be quite lengthy. Primarily we designed this app to look at 3D data in a new way, on a platform that is convenient and easy for any FME user. It does that, but I’m sure you can see further possibilities. 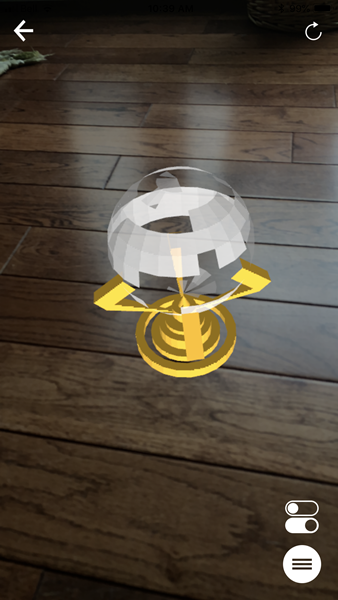 In fact, if I projected a 3D crystal ball onto my desk and looked closely, I think I would see a direct Revit to FME AR translation in the not too distant future (a mysterious voice whispers “2019” to me)! FME exports models with coordinate system information, but that information isn’t yet used by the app. In other words, for now, you’ll have to shuffle the data around on screen until it fits the real-world picture. FME AR won’t automatically lock data in its correct spatial position. Geolocation of that type is possible, but… well we are looking for the motivation to implement that. If you really, really want that functionality – or have a project that would benefit greatly from georeferenced AR models – then let us know through the usual channels. FME AR is based on Apple’s ARKit package, and version 2 of that was recently announced. It has the intriguing idea of shared AR experiences, among other things, so in the future, we may support some of that functionality too. More news as I get it. Don’t forget that Safe has released the code for FME AR as open source; so if there are updates you really can’t wait for, you can always make them yourself. The iOS source code is already available on Github. The Android source code is just going through final vetting; check here on Github in the near future, or just search through our repositories. And that’s about it for FME AR for today. Like I mentioned, a lot of the work is getting data into 3D, which is not necessarily unique to AR. If you need assistance creating 3D models, then there are plenty of resources on the FME Knowledgebase. You can also ask for help in the Q+A forum too, which is usually very quick to respond. I mentioned Android is now supported, and the app on the Google Play store. To check if your device is compatible, here’s a link to the list of devices supported by the library we use. And finally, I need to mention that FME 2019 beta has a reader for fmear format; so you can check your model in the 2019 Data Inspector before trying it in the FME AR app. 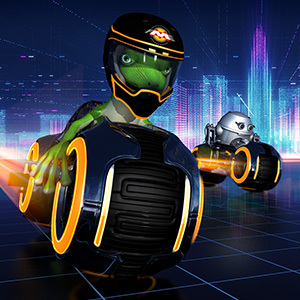 Do be aware that at this point, FME 2019 is not just beta, it’s very beta! While it’s OK to check an AR model with, I wouldn’t try using it for production work of any sort. I hope you found this article interesting, and if you do have any questions – or good demos of data in FME AR – please do let me know. Any chance you could allow for a QR code to be placed at a location (e.g. 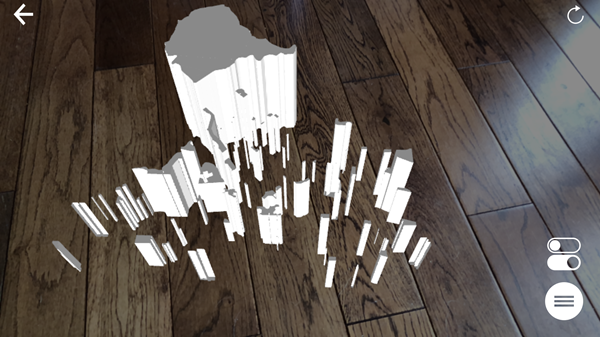 place on a table) and a mobile user come along and open it (download the app if necessary) and download the dataset. 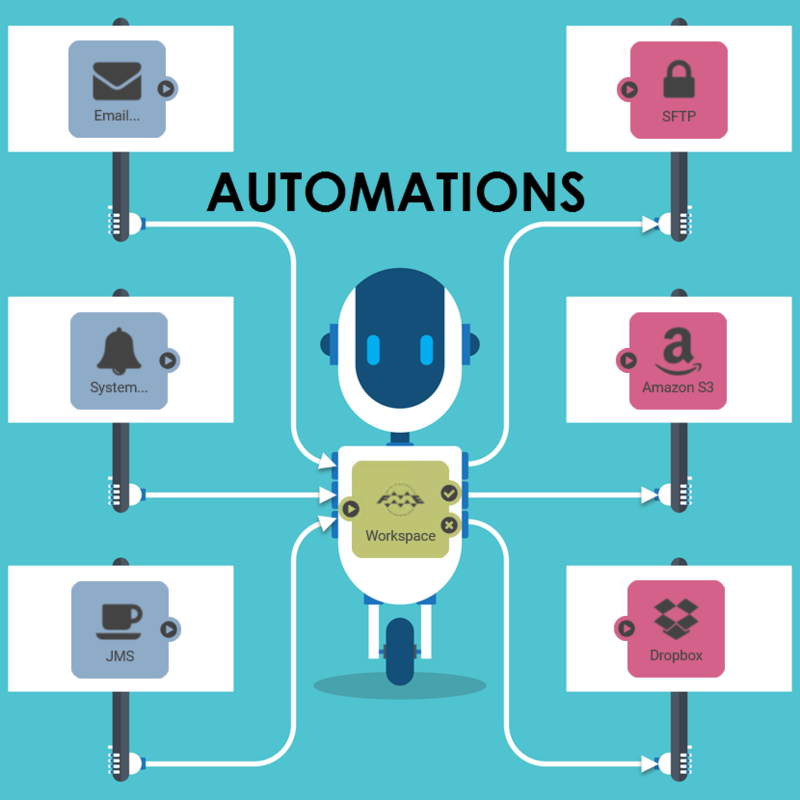 That way we could use it to share scenarios with a wide range of users on numerous device. Any chance? 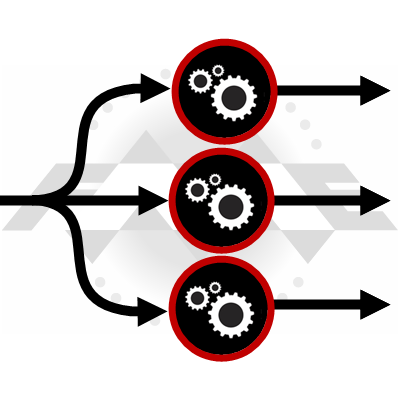 In short, FME Server is a great way to go. A web file system works, but not as elegantly. Oh, and as a general piece of info, these work as QR codes, but you can’t open an FME Server URL directly in the FME AR app (ie you can’t copy a URL and paste it into the app). But… there may be a solution coming soon for that. I saw the safe AR demo video on linkedin where you displayed a line and pictures of employees around your office. How did you actually do it? In this blog you mentioned that AR geolocation is not implemented or has that changed. 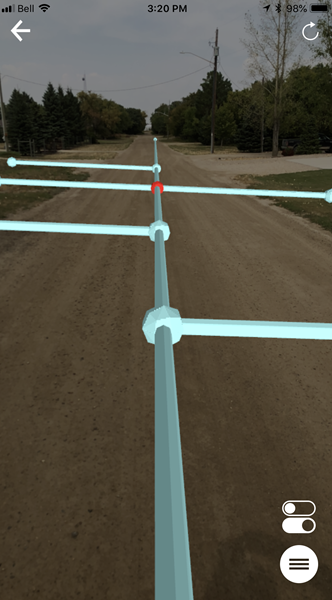 I am going to write an article about this simple trick with georeferencing early next week, and we’ll record a detailed video “Making of a georeferenced AR” but it short, it is just placing an object into the model and the same object – into the real world and matching the two after loading the model. Hi, very interresting feature ! But I just tried with an extract of drapped DEM, and the android app seems to read the file successfully but then indicate “unable to place an achor”. Any clue of what can go wrong ?